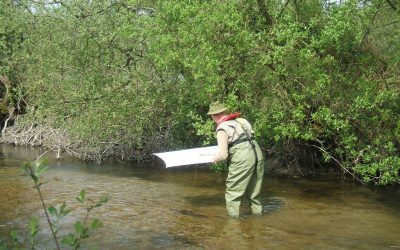 One way we are able to protect and monitor important habitats and species within the county is through dedicated survey schemes. WSBRC helps to manage and run serval projects. These projects are suitable for people with a variety of levels of expertise from beginner to expert. Monitoring a large number of sites means we can build a picture of the changing face of Wiltshire. We get data from a huge range of sources but one of our major sources of data is from volunteers submitting data as part of a WSBRC project. By drawing together and mapping the distribution of species and habitats across the county, it is possible to identify where conservation effort needs to be targeted and where scarce resources are best allocated. Knowing where key habitats and species are located is also important in ensuring that wildlife interests are properly considered in the local authority planning process. The main project we run is the Protected Road Verge Scheme. This project is helping us to improve our knowledge of the counties habitats and helping to protect vulnerable plant communities. There are always many volunteer wildlife surveys and projects to get involved with depending on your area of interest. Keep an eye on our Facebook page or Twitter feed for more information on these and how to get involved or let us know if we can help you with a project you want to run.